Four things you need to know about asbestos removal | Crucial Environmental Ltd. If you have asbestos at your home or workplace you might believe that you need to have it removed. It is true that you can call in professionals to get the material removed from your property or, if you have the experience, you can carry out the removal yourself. However, this isn’t always the best course of action. Here are four things you need to know before you consider asbestos removal. The first thing that you need to establish is whether or not the material you believe is asbestos actually is. This might seem obvious but it should be pointed out that many materials that look like asbestos, or are used in the same way as asbestos, can be made from other materials that are considered to be safe. Just because something looks like asbestos, it doesn’t necessarily mean that it is. It can be a good idea, then, to have material that you believe is asbestos tested first. It should also be considered that even if you do have asbestos present on your property, it is not always necessary to have it removed. Asbestos has number of documented health risks, but it only ever becomes a problem when the material is disturbed or moved. Generally, asbestos in good condition is not a risk. The problem is that due to the fear surrounding the term asbestos, many property owners believe that the safest course of action is to remove it as soon as they find it. Unfortunately this is incorrect in most cases. If you have decided that you are going to remove asbestos from your property, it is essential that you should not attempt it unless you have the relevant skills and experience. Attempting to remove asbestos when you don’t know how to do so safely can put you in danger. 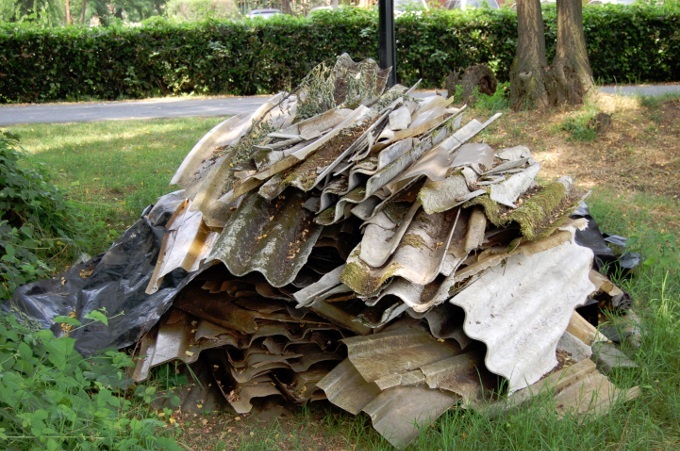 If you have any doubts concerning your ability to remove asbestos and dispose of it safely, then you should get in contact with professionals to have it carried out for you. Remember that upon finding asbestos (or something you believe is asbestos) your default response should not be to get it removed as fast as you can. Don’t panic – if the asbestos is in reasonable condition there is no reason to suspect that it is currently a danger to you. Take sensible steps such as having a survey carried out and then moving forward from there.